We are pretty excited over here. Raffa's first birthday is fast approaching; and his birthday party is coming up this weekend! 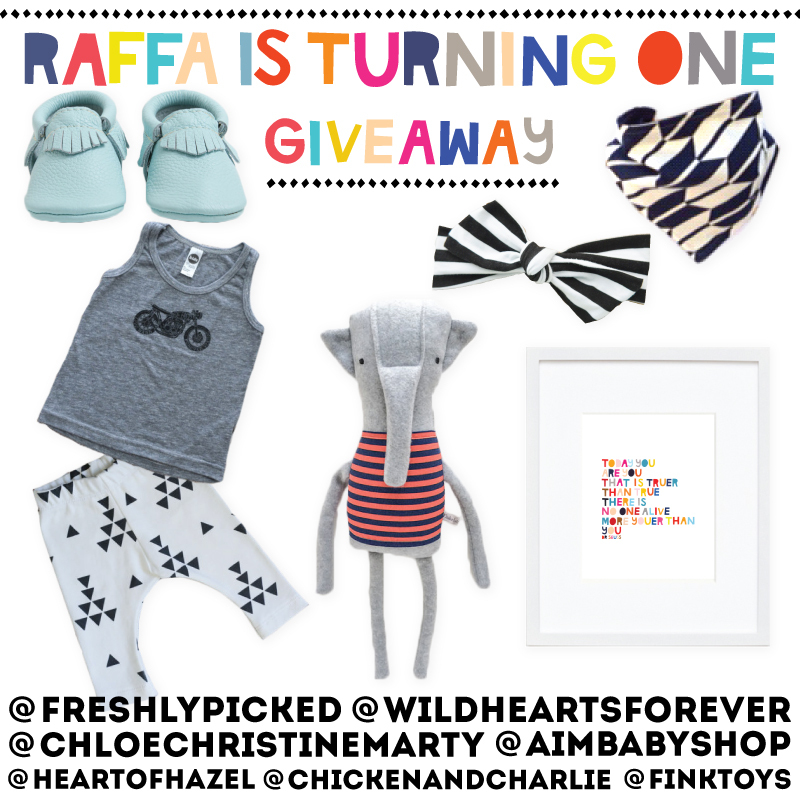 In honor of the momentous occasion I buddied up with Freshly Picked and a few other amazing small businesses to create a giveaway of some of Raffa's favorite things. First of all, in case you haven't noticed, Raffa is always wearing his moccasins, his Freshly Picked moccasins to be exact. In fact, Freshly picked moccasins are literally the only footwear Raffa wears or even owns. These moccasins are not just cute, though; they are also highly functional. Raffa is standing and furniture surfing now ... soon enough he will try to take steps. And, Freshly Picked moccasins are the best footwear for him to do all of that in. 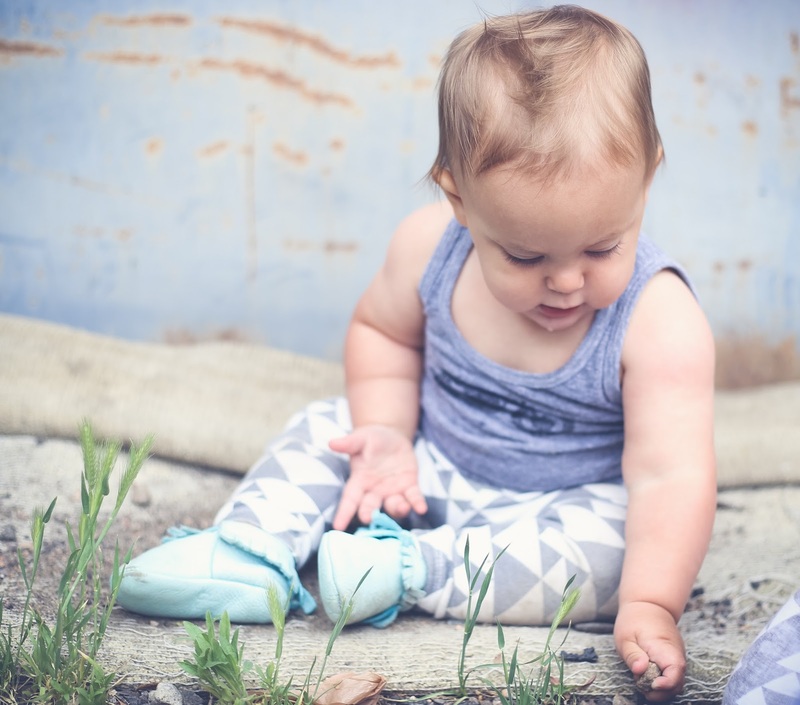 Did you know that soft soled footwear, like a pair Freshly Picked moccasins, is the very best for little ones to learn to walk in? 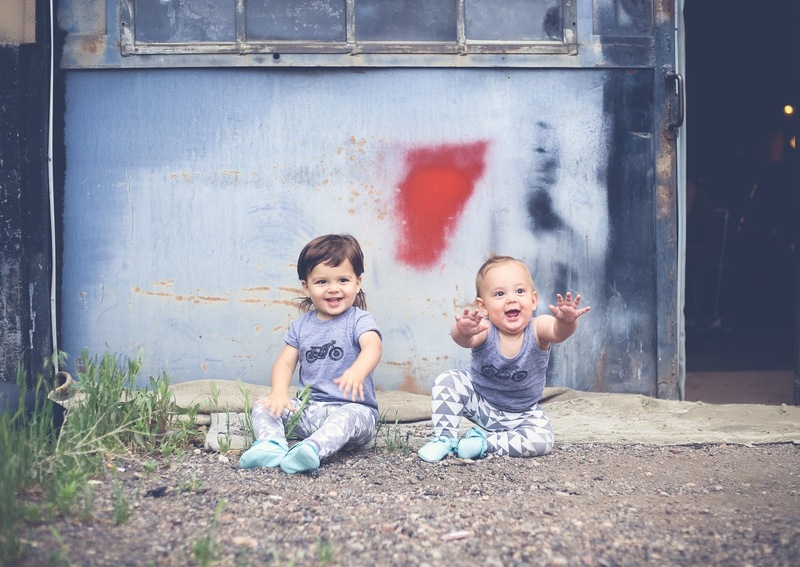 Soft soled shoes allow little ones to feel the ground as they take steps; they allow the feet to freely move and the toes to flex and grip the ground. All of this aides with balance and helps develop strong ankles and feet. I originally just thought they were the cutest footwear around; turns out they are super practical, too! I can see Raffa benefitting from the soft soles when he stands, goes up on his tip toes, takes steps around furniture etc. 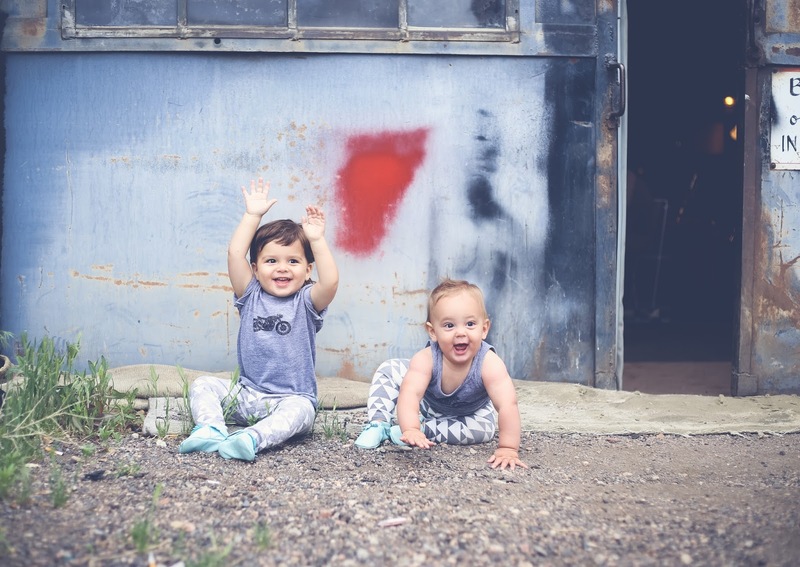 So, you may have noticed the moccs before in photos of Raffa, and I featured them in my holiday gift guide this past December, and in my style post for my top picks for dressing Raffa. Now I am so excited to be giving a pair away to one lucky winner!!! All of these items can be for your little man or your little lady! also access the Rafflecopter widget on the WILD HEARTS Facebook page by clicking HERE! The fine print: There are up to 6 entries available, as outlined in the Rafflecopter widget above. Two required entires are two follow me on Instagram and to follow all shops on Instagram. An additional 4 entries are available as well (share the giveaway on Instagram, like andCHLOE on Facebook, like Freshly Picked on Facebook, and subscribe to andCHLOE blog posts via email). The giveaway starts NOW and ends May 11, 2014 at 8:00PM MST. Winner will be announced here on my blog and via Instagram on May 12, 2014 at 7:30AM MST. I can't find u on Facebook to like the page :/ nor is the widget functioning for me :( can u post a link to Facebook page please.